UVI gathered 36 of its vintage synth and drum box sample libraries for the UVI Workstation 2 in a mega bundle with a special price. 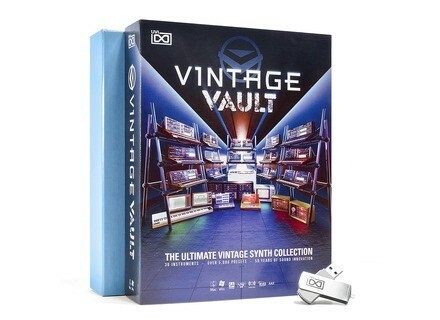 The UVI Vintage Vault features the following virtual instruments and bundles: Beat Box Anthology, Darklight IIx, Digital Synsations, Emulation II, Emulation One, Mello, String Machines, The Beast, UltraMini, UVX-3P, UVX-10P, Vector Pro, Vintage Legends and WaveRunner. You’ll find more than 5000 presets in this 120GB library compressed to 63GB thanks to the UVI Engine XT system. 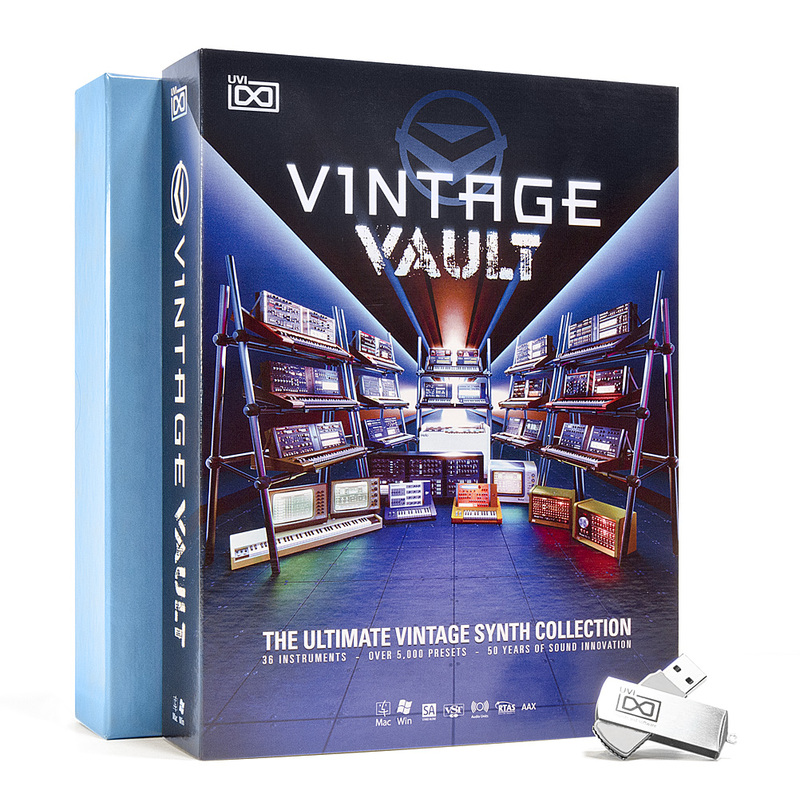 The UVI Vintage Vault is available for $499, which is almost 80% of the price of all the instruments purchased separately. Note that an iLok account is required (USB dongle or authorization on up to 3 computers). The Roland Integra-7 in v2 for Windows The long-awaited Windows version of the Integra-7 Editor plug-in is now available, and directly in v2. Utopian Dreams Band makes plug-ins Californian jazz band Utopian Dreams Band released three VST plug-ins for Windows that can be downloaded now for free.